A student can go an check it out at a public library, they can buy the book on-line, they can go and buy it at a bookstore, they can write a report, it has not been banned. But it has been pulled from our shelves,” DiPetta says. 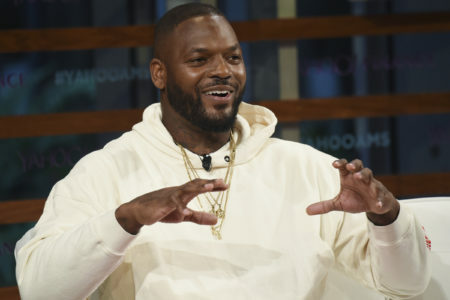 Katy Independent School District has come under fire from the author and fans of a book that has been temporarily pulled from the shelves of libraries in the school district. The controversy started when a parent raised concerns about the language in the book during the November board meeting. 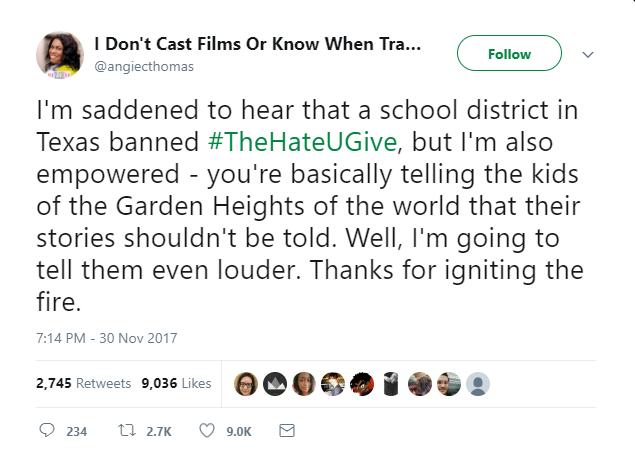 Angie Thomas, author of The Hate U Give, and her fans have taken to twitter, critical of “a Texas school district” for banning the book. 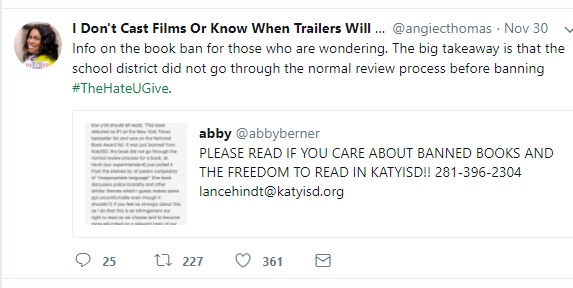 Thomas seems to believe Katy ISD doesn’t want the story to be told. The book follows a 16 year old black student that witnesses a white police officer shoot her unarmed best friend. Katy ISD Manager of Communications, Maria DiPetta says the book is still welcome in Katy schools. “We do want to clarify that the book has not been banned from Katy ISD. 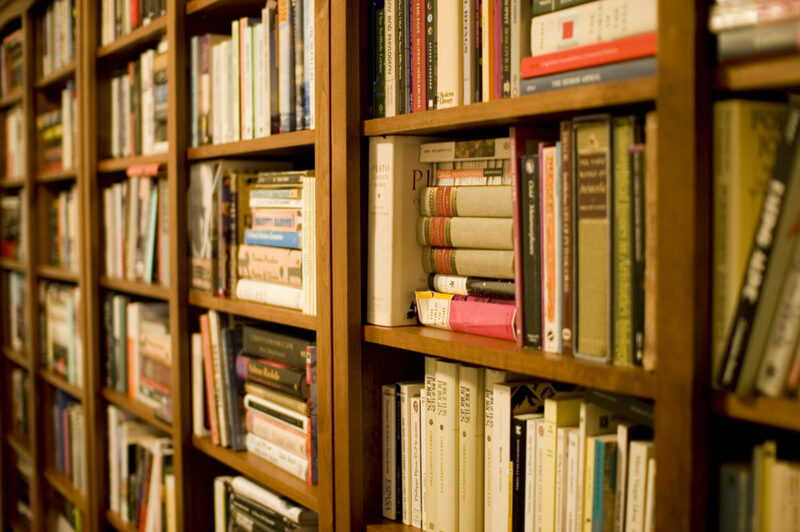 A student can go an check it out at a public library, they can buy the book on-line, they can go and buy it at a bookstore, they can write a report, it has not been banned. But it has been pulled from our shelves,” DiPetta says. She thinks many on social media believe the school district violated policy in removing the book, however DiPetta says board policy actually required the book be pulled from shelves. 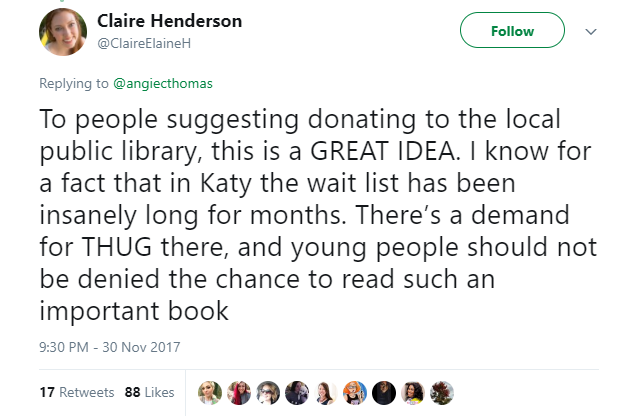 She says “pervasive vulgarity” is why it will be the responsibility of a committee to determine if the book returns to Katy school libraries. 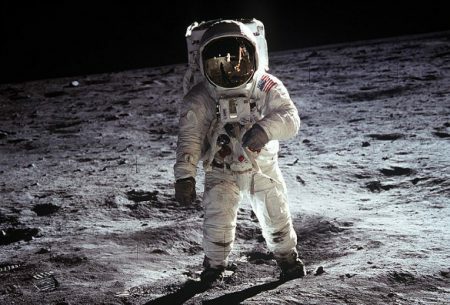 DiPetta, told Houston Public Media that The Diary of a Wimpy Kid went through a similar process. 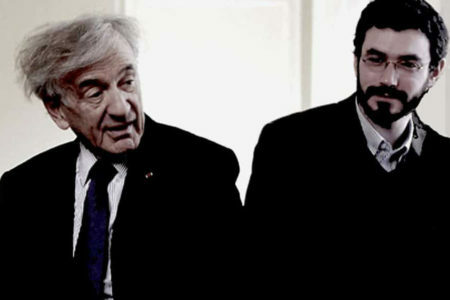 The committee is being formed to review the complaint. DiPetta couldn’t say when a decision will be reached.